If you’re looking for security companies London you’ve come to the right place. Our management team have supplied security services in London to Oak Furnitureland, The Science Museum, Premier Inn, Selfridges, Audi, Wandsworth Council, Harpo Productions (Oprah Winfrey’s) production company, The Chinese Embassy and many other leading organisations. Call us now on 0844 499 0607. These are the highest level of security professionals available on earth. They have vast security experience, are used to dealing with life and death situations in a calm and cool manner. Proficient in at least one form of unarmed combat, these bodyguards also work on their strength conditioning several times per week and are trained in first aid. Our close protection officers have secured royalty, heads of state as well as celebrities such as Mike Tyson, Kylie Minogue and a great number of CEO’s. From the South of France, to Monaco, Milan and of course London. Many of them are ex-military, some are ex-special forces. They’re all highly trained, experienced and specifically handpicked by us to provide the ultimate protection for discerning clients. 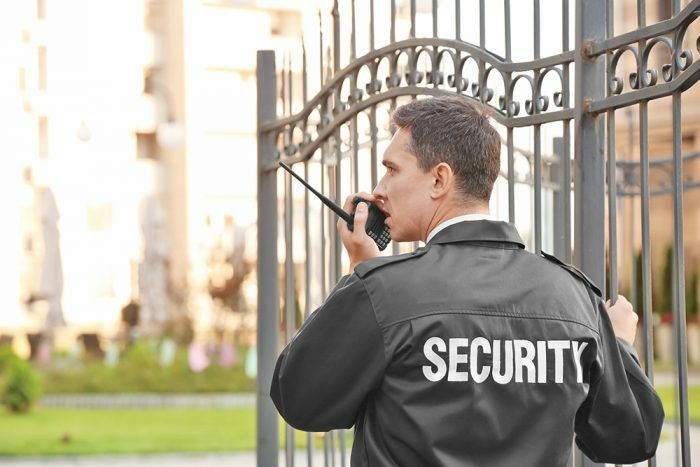 Our security guards are available for many different situations, from manning your reception to patrolling your retail premises. Sometimes emergencies happen and you need security cover in a hurry, don’t worry we often have such calls and can have a security professional on your site in a couple of hours. Security companies London wide sometimes say they give a 24 hour 7 day a week service, however try contacting some of them in the dead of night and you often can’t get through to them. Sometimes all you need are few mobile patrols to check your site several times every day. Guard dogs are a massive deterrent to criminals, with their hearing and sense of smell being much more acute that ours, they can detect intruders much faster than we can. They’re also a formidable force and are worth 3 or four security guards, they’re perfect for wide open spaces.